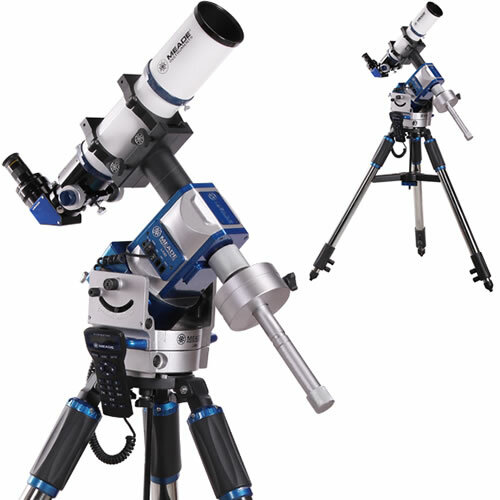 The Meade LX80 Multi-Mount is three mounts in one! 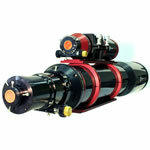 Alt-Azimuth, Equatorial, or dual optical tube mount options are easily swapped from one to the other. 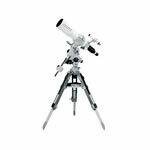 Combined with Meade Series 6000 80mm ED Triplet APO Refractor Telescope, the optical design that Meade was founded on. 40 pound load capacity for Alt-Az and EQ modes, 70 pound capacity in dual OTA mode. Ultra stable 2 inch tripod legs feature levelers at the top of each one for easy fine tuning after set up. Includes two auxiliary ports to connect your additional accessories. Primary and secondary dovetails are made to common industry standards. SmartDrive provides periodic error correction that drastically improves performance over similarly priced mounts. Precision worms and drives for a smooth ride. Includes one 11 pound counterweight. 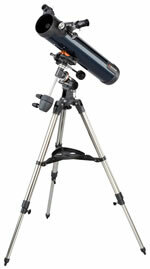 Meade 1 year warranty included. 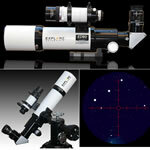 The Meade 80mm APO f/6 optical tube with Fully Multi-Coated optics and FPL53 extra-low dispersion glass for a spectacular viewing experience offering superb contrast, color correction, and excellent utility for deep sky imaging. Standard equipment includes a Meade 2" diagonal with Ultra-High Transmission (UHTC) coatings offering 99% reflectivity for terrific image brightness. 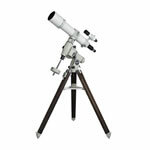 Compatible with all Meade and other brand 2" and 1.25" eyepieces, 1.25" adapter is included. Bringing the best of three worlds together, the LX80 Multi-Mount allows users to easily switch between mount modes. No longer do you need to choose between Alt-Azimuth or Equatorial configurations. No longer will you have to purchase specialized dual mount plates. Meade marries it all together in one beautiful package. The LX80 is built around a solid aluminum structure, with two large, tapered roller bearings that handle radial and thrust loads on each axis to carry larger loads up to a total payload of 40 pounds In EQ and alt-az modes and up to 70 pounds in dual OTA mode. Its precision worm gear drives on both axes deliver smooth, accurate motion. With the ability to function as both an Alt-Az and EQ mount, the LX80 Multi Mount gains the ease of set up from the AZ and the ability to function as a long exposure photography platform, like an EQ. For nights when the imaging isn't the greatest, you have a quick to set up Alt-Az that can switch to EQ mode in a moment's notice. The ability to go into a dual OTA AZ mode allows users a variety of set up options, particularly great for solar or outreach. 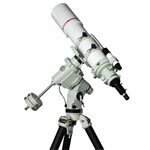 Mount your h-alpha telescope next to a scope with a white light filter for a side by side comparison of the solar view. Are you an outreach enthusiast? 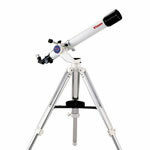 Do a lot of star parties, host school or troop astronomy programs? Mount two similar OTA's side by side to get twice the observing in in the same amount of time. Both the primary and secondary OTA dovetail plates are industry-standard for maximum compatibility with all of your OTAs. Meade's proprietary SmartDriveTM provides periodic error correction that dramatically reduces errors providing performance only available on much more expensive mounts. Over the course of a few training periods, your telescope will learn what errors occur most often and how to compensate for them for long exposure photography. 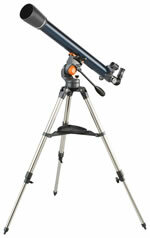 The LX80s computerized GoTo mount is controlled with the amazing AudioStar handbox with Meade's exclusive Astronomer Inside audio descriptions of the objects you are viewing. Astronomer Inside provides in-depth data on over 30,000 objects knowing how to find and track them automatically. 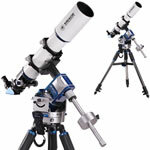 This feature packed system can also take you on a guided tour of your local night sky showing you the best of the best that are within view at the moment. As you slew from object to object, your AudioStar controller will give you a full description and interesting facts of what you're looking at.